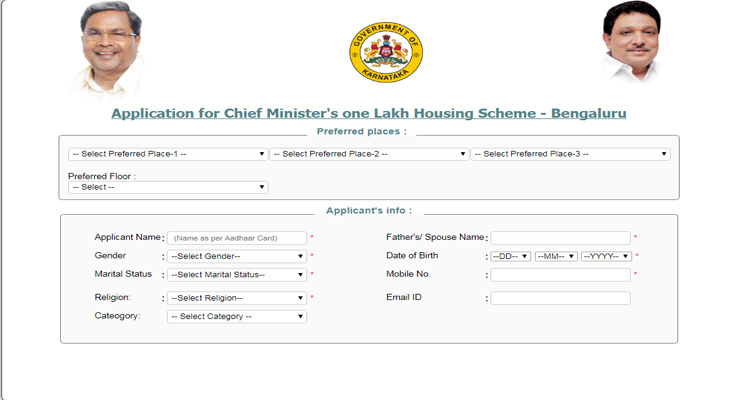 Karnataka State Government is inviting online application form for Chief Minister`s one lakh Bengaluru Housing Scheme. The Karnataka State Government will provide one lakh housing units to economically weaker sections (EWS) category peoples under this housing scheme. The State Government of Karnataka will provide subsidy of Rs.2.70 lakh to Rs.3.50 lakh for these houses. The interested candidates can apply for this housing scheme at officially web portal ashraya.kar.nic.in. The application fee is Rs.250, the candidate can pay the application fee either online or offline mode. This is a wonderful opportunity to BPL holders for constructing a new building. Thank you so much for providing this kind of facility to the BPL people.